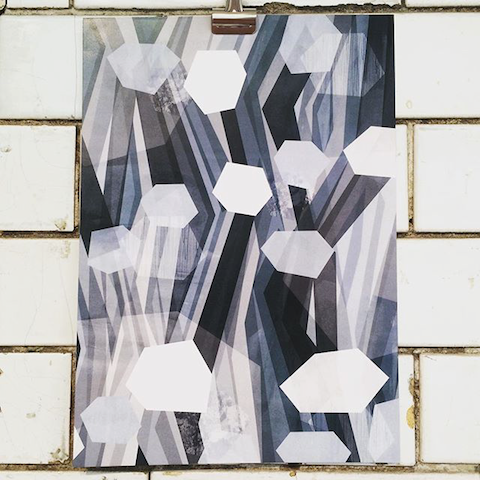 Bournemouth illustration graduates put on The Observatory at the Rag Factory just off Brick Lane in July 2015. Here's my pick of the bunch. 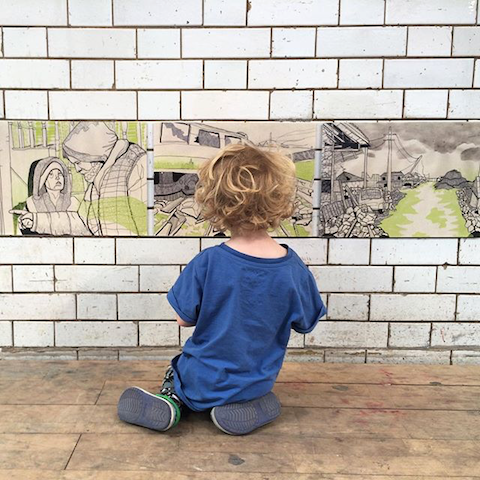 Last week I visited the Arts University Bournemouth illustration exhibition at The Rag Factory just off Brick Lane with Snarf in tow. 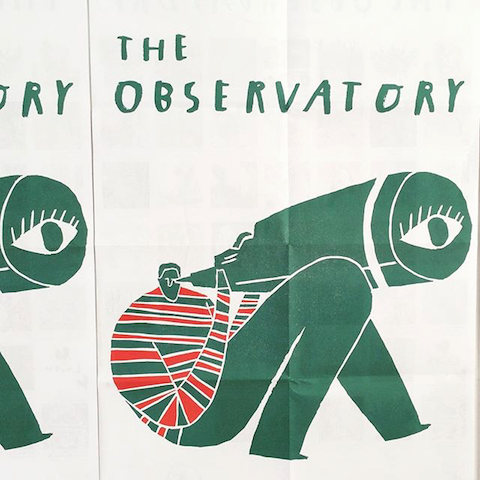 There was excellent branding for The Observatory, with this stripey fellow and his big telescopic eye featuring on posters and tote bags. 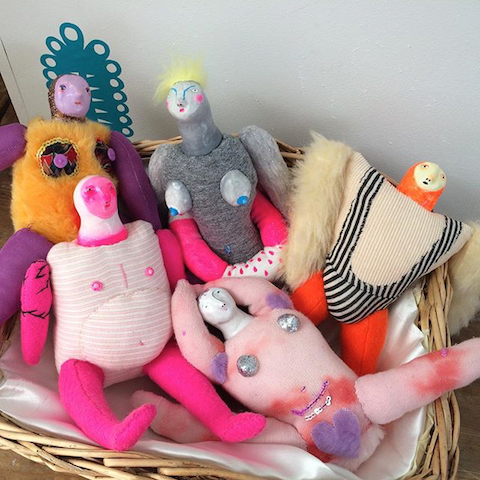 I absolutely loved assorted creatures and bizarre characters by twin partnership Liv and Dom Cave-Sutherland. 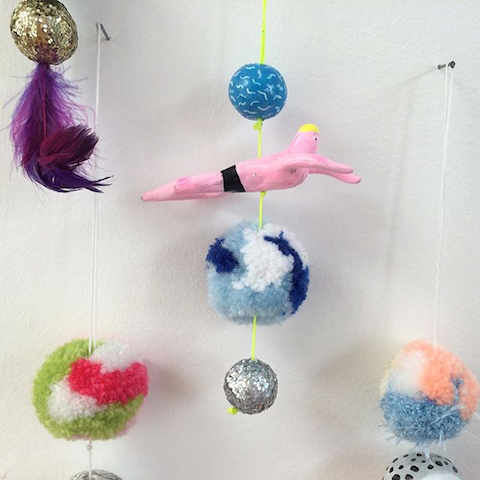 In fact I liked them so much that I bought the hanging swimmer above. Absolutely a pair to watch. Next up, Snarf particularly liked this detailed work by Anna Johnson: principally because it features a crashed car and a derailed train. I liked her spare use of neon colour. 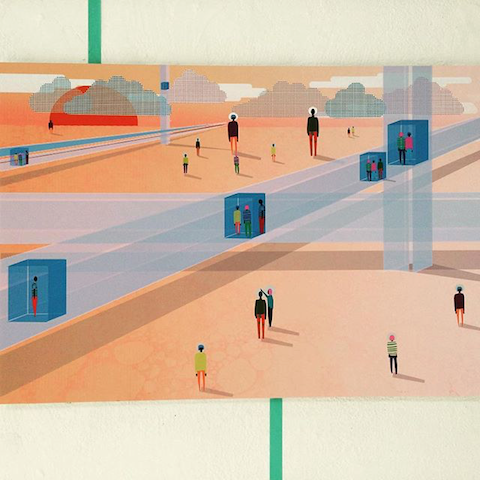 This futuristic imaginary world is the creation of animator Josephine Broome. 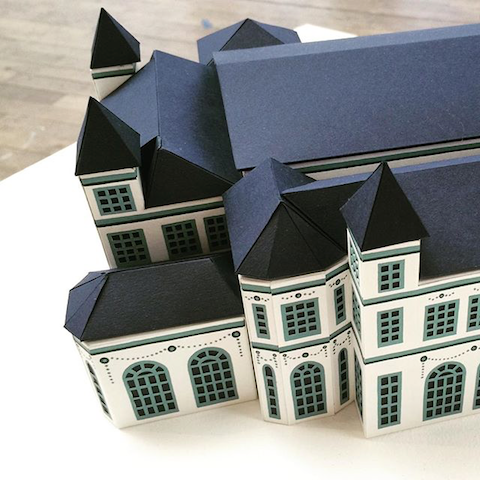 Amy Bellinger is a ‘stately home enthusiast’ who creates beautiful miniature paper houses. 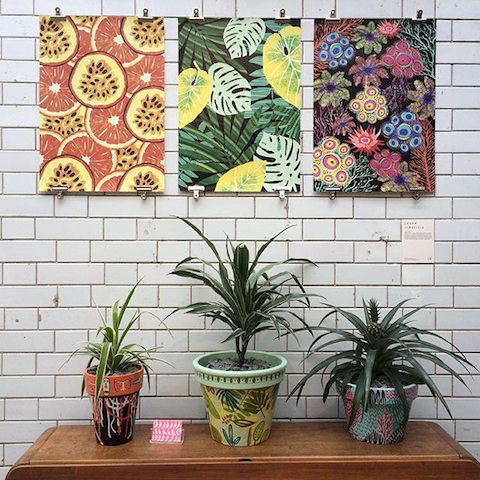 Fun patterns from Charlotte Reynell looked great against the Rag Factory alls. 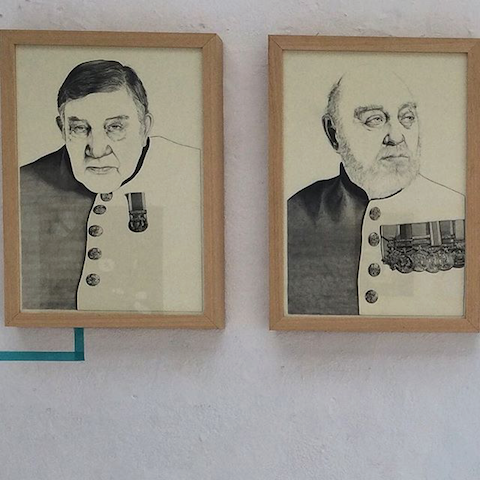 Harry Graham showed expert pencil portraits of war veterans. 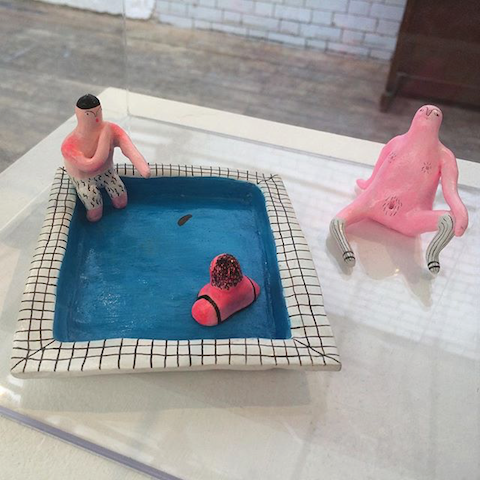 This lovely decorative display is by Laura Schofield. Her beautiful patterns would translate into a wonderful page in my colouring book! I hope she gets involved. 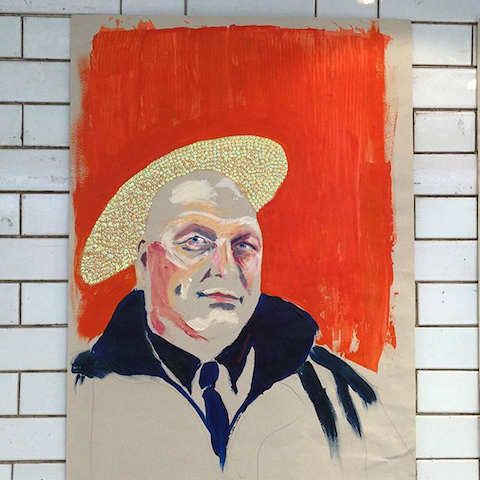 Finally, this glittery portrait by Emily Madley is part of a series featuring Bournemouth bouncers. 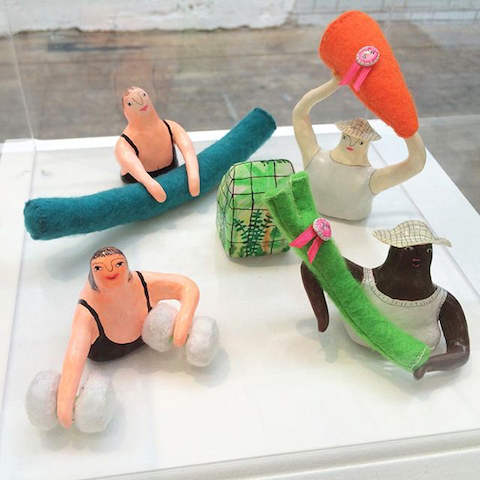 Kingston University: Illustration and Animation Ba Hons Graduate Show 2011 Review. Downstairs.